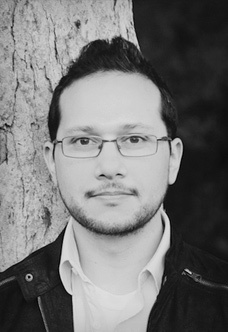 A key member of the Spectrasonics Sound DEV team, Mauricio originally comes from Colombia. A prolific audio engineer, composer, songwriter and producer, Mauricio has engineered, arranged and co-produced on many Grammy, Latin Grammy, Billboard, BMI and ASCAP winning/nominated albums and tracks for artists such as Jennifer Lopez, Pitbull, Ricky Martin, Marc Anthony, Thalia, Jaci Velazquez, Alexandre Pires, Ricardo Montaner, Chayanne, Estefano and Cristian Castro among many others. As a composer, Mauricio has written music featured in several films (Step Up 3D, Torrente 4: Lethal Crisis), TV Series (Hawthorne, Lolo’s Cafe), Documentaries (On Wings Of Hope), advertising campaigns (Colombia is Passion) and multimedia projects. He’s also written numerous songs for artists such as Chenoa, David Bisbal, Paulina Rubio, Ha-Ash, Shaila Durcal, Ednita Nazario, Bustamante and Yahir that have reached the top of the charts in the US, Mexico and Spain. Mauricio has worked with companies such as Universal Music, Sony Music, Warner Music, Geffen Records, Vale Music, Summit Entertainment, Walt Disney Pictures, Sony Pictures, Universal Pictures, Killer Tracks, Delfin Studios, VISA and FOX.